A pair of Seahawks were announced as being in the top 25 of the NFL Network Top 100 poll. 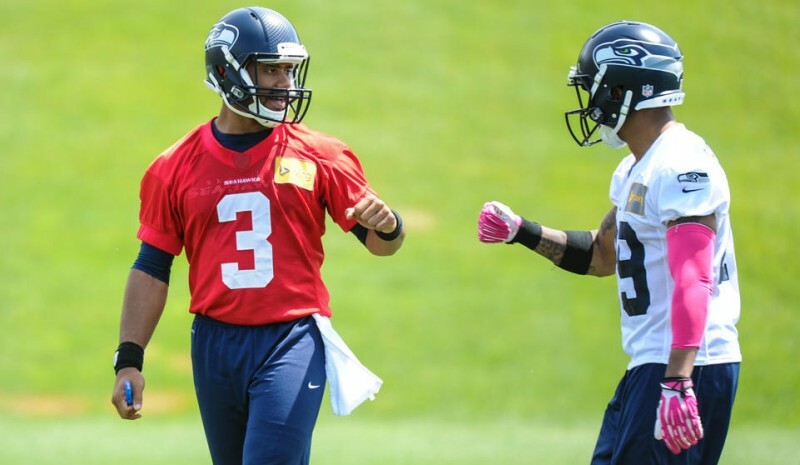 Quarterback Russell Wilson (#22) and Free Safety Earl Thomas (#21) were voted for the second year in a row into the prestigious poll voted upon by their peers. Last year Wilson came in at #20 and Thomas at #17. Last year, Russell the diminutive 4th year QB, had a 95 rating: throwing for 3,475 yards, with 20 TDs and 7 INT. He added 849 rushing yards and 6 rushing TDs keying the Seahawks Super Bowl run in 2014. Drafted in the first round out of the University of Texas, Earl anchored the legendary Legion of Boom racking in 97 tackles and 1 Int as the last line of defense. The three-time first-team All-Pro, was ranked the highest of any safety in the NFL Network Poll. The pair join several other Seahawks teammates: Jimmy Graham (No. 31), Kam Chancellor (No. 41), Bobby Wagner (No. 69), and Michael Bennett (No. 90) in this poll. Two Seahawks suspected to be unveiled at a later point will be Running back Marshawn Lynch and Corner back Richard Sherman.